At the time, this quote from Mourinho seemed like a swipe at a player criticising Chelsea’s loan system. It’s fair to say Mourinho has got a few things wrong over the past few years, this was not one of them. Lukaku’s departure from Everton has seemed like a forgone conclusion for months, however that has not quelled the reaction to his very public attempts to depart. There have been issues and failings on both sides that make his departure all the more imminent, so there will be no need for a poison pen letter here. There is a right way and a wrong way to go about departing from a football club. Take Marouane Felliani for example, once David Moyes had left for Manchester United, it seemed a forgone conclusion that he and/or Leighton Baines would join him. While Fellaini himself was no beacon of virtue, once stating his desire to leave in a Belgian newspaper a year earlier, his actual departure was rather smooth. Felliani discussed his desire to leave with the newly appointed Roberto Martinez privately and he left when an acceptable bid was made. He left, for a very hefty sum, to play in the Champions League with the then-champions of England, fair enough. Alternatively is another of Lukaku’s Belgian compatriots, Eden Hazard. His departure from Lille was probably one of the most prolonged, fame-hungry pantomimes that I can remember in recent history. It eventually culminated with Hazard himself announcing on Twitter the club that he had chosen to join. Evidently, Lukaku is rather more inclined towards the Eden Hazard way of thinking. We forget that very few players in the modern game have allegiances to the club that employs them. Romelu Lukaku is obviously a very ambitious young man, when he arrived at Everton he was sold a dream that within three years the club would be playing Champions League football. That has not materialised. The Belgian has demonstrated that he has the ability to play at that level, albeit not on a consistent basis, and he now feels ready to achieve his goals. Everton have not held up their end of the bargain and he sees his future elsewhere, there is no problem with that. If this was the end of it, then few Evertonians would find themselves able to argue against his departure, but unfortunately it wasn’t the end of it. 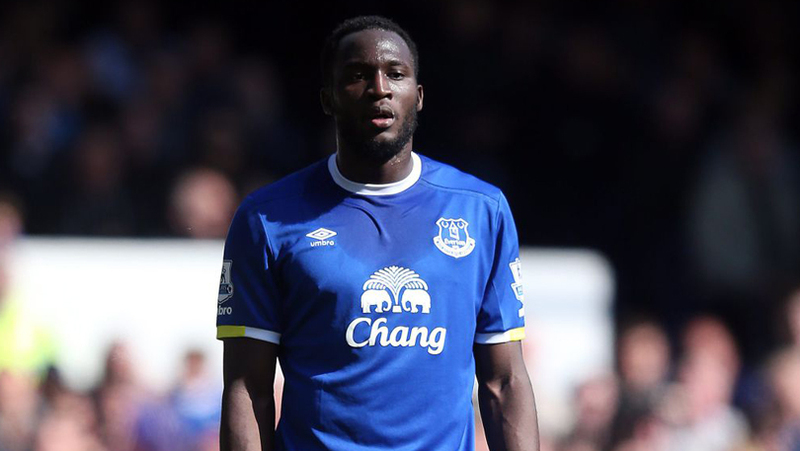 The problem comes with the pantomime that Lukaku has created surrounding his future. Persistent claims from Roger Lukaku, his father, that Romelu should leave Everton behind have not gone down all too well with Evertonians. Neither have Romelu’s own comments that his own lack of form was down to the underperformance of others. No matter how much truth either of these statements actually have, it doesn’t take a PR expert to understand the backlash they would create. What makes matters worse is that many Evertonians would have wished Lukaku well if he was to leave Goodison this summer, if those statements hadn’t been made. While Lukaku has shown Everton a definite lack of respect in recent months, what must be made clear is that the club are not blameless either. As mentioned above, Everton made assurances to Lukaku when he joined permanently, that he would be able to achieve his ambitions at Goodison Park. It’s fair to say that with two 11th place finishes, that has not been the case. 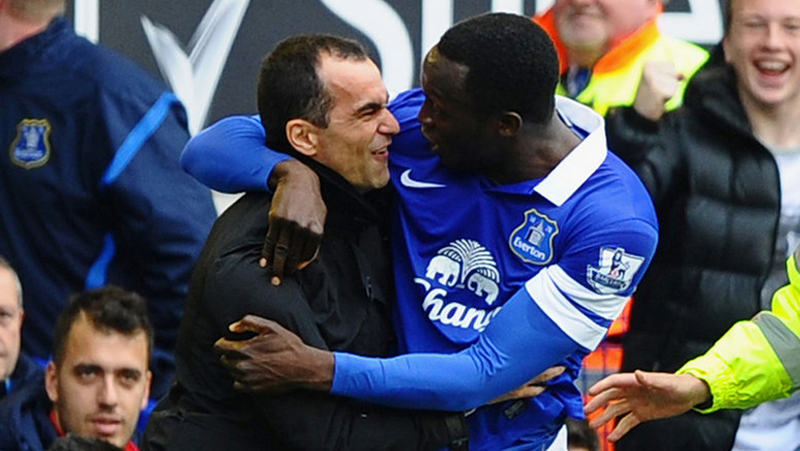 There seems to be no love lost between Everton and Romelu Lukaku anymore, the sight of him sprinting to embrace Roberto Martinez after the 3-0 demolition of Arsenal couldn’t seem any further away. Lukaku has seen senior colleagues hung out to dry, Howard and Baines are two very different examples of this. Not forgetting that he himself was a victim, after both captain and manager blamed the 3-2 capitulation at home to West Ham solely on his penalty miss. Make no mistake that his downturn in form coincided with these events. Relationships and alienation are powerful factors in sport and they are two that should not be ignored in this case. Another glaring failing was that Lukaku was not punished for his transgressions the first time he spoke out of turn while on international duty, or the second and so on…. Within a week Leighton Baines had been made to apologise for some very rational remarks, whereas Lukaku yet again went unpunished for stating his desire to leave at the end of the season. If the management fails to deal with the problem, can they really have many grievances when the problem persists? However the arguments against his behaviour continue to stack up and for that he can only blame himself and those advising him. Earning his alleged £75,000 a week should be enough to see our star striker display some professionalism on and off the pitch. While Everton continue to hand over that sum of money, Lukaku is chatting about how he has already decided on his next club and how he glanced longingly at Leicester’s title win as Everton held him back. It might be fair for him to think these things in private, but his publicly frank assessments offer no respect to the club still paying his wages. Another point still to be made will decide just how amicable, or messy, his departure from Everton will be. His choice of club will be where most Evertonians decide their stance on Lukaku. After his continued statements about Everton failing to fulfil his ambition and his desire to play in the Champions League, if he was to join Chelsea or Manchester United it would be a bitter pill to swallow. However if his choice was Bayern, Juventus or PSG then it would be a lot easier to stomach and few would argue against it. There is no fault or blame here, problems and failings have amassed on both sides and finger pointing is an exercise in futility. One thing is for sure though, Romelu Lukaku will leave for a club-record fee. He will be missed at Everton for his ability, his potential, his ambition and his goals. However it is safe to say that his international interviews and the influence of Mino Raiola won’t be remembered quite as fondly. I don’t think Lukaku is that great, for a who is paid £75,000 a week one would expect his first touch to be much better. Yes he has scored 25 goals in all competitions but that was only the forth best in the league. His work rate is poor match to all the other three strikers who have scored more goals. Everton Football Club have helped him to get to 25 goals by taking away the pen duties from the best pen taker at Everton, just to help him. If he want’s to go take the £65million and buy a real top striker who is professional enough to respect the club who paid him well. A fairly long letter that just about sums everybody’s feelings about Rom and his cracked father. Very well put article. I was absolutely fuming at how he wasn’t punished by the club when he started speaking out of line and then also to see Bainse made to apologise. It would be very interesting to see how many times Lukaku opens his mouth now that RK is in charge and by all accounts that is already taking effect with the apparent backtracking by his agent and the sudden desire to not make comments about his future as he is currently concentrating on the Euros. I tend to believe someone may have had a word in his ear and I don’t think it was his agent either.